LOS ANGELES, July 14 – Unbeaten in 18 pro bouts, Scottish southpaw Craig McEwan has been taking out every middleweight in his path over the last four years. Now veteran Danny Perez wants to stop the rise of this up and comer and on Friday, July 23, he’ll get his chance when he takes on McEwan in the main event of TeleFutura’s “Sólo Boxeo Tecate” at the Pechanga Resort & Casino in Temecula, California. This ten round middleweight bout, which headlines a night of world-class professional boxing presented by Golden Boy Promotions in association with Ringside Ticket Inc. and is sponsored by Cerveza Tecate. 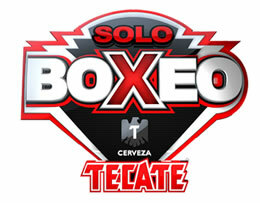 TeleFutura’s “Sólo Boxeo Tecate” will be broadcast at 11:30pm ET / PT (10:30pm CT). McEwan vs. Perez replaces the original scheduled main event of Sergio Mora vs. Juan Carlos Candelo, which was scrapped due to Mora’s September meeting with Sugar Shane Mosley. Golden Boy Promotions is giving Temecula fight fans an equally intriguing main event with McEwan and Perez meet at boxing’s crossroads. In the co-main event, scheduled for six rounds in the featherweight division, Southern California prospect Charles Huerta battles Mexico’s Jonathan Arias. Also in action will be Florida knockout artist Keith Thurman, who puts his perfect record on the line against fellow unbeaten Stalinn Lopez. Tickets, priced at $75, $65, $50 and $35, are on sale now by calling (877) 711-2946 or visiting www.pechanga.com. Doors open at 6:00pm PT and the first fight begins at 7:00pm PT. A native of Edinburgh, Scotland, 28-year-old Craig McEwan (18-0, 10 KO’s) has established himself as one of the best prospects to emerge from the United Kingdom in years and now he’s looking forward to the next step in his career. Owner of wins over Brian Vera, Darnell Boone and James Parison, the Freddie Roach trained McEwan plans on making Danny Perez the next name on his resume of vanquished foes on July 23. In his 14-year career, Carlsbad, California’s Danny Perez (34-7, 17 KO’s) has been in with some of the best fighters in the game including highly touted Cuban prospect Erislandy Lara and former World Champion Antonio Margarito (twice) who he sent to the canvas in a razor thin split decision loss in their first fight. Winner of three of his last five bouts, Perez is eager to introduce McEwan to the next level of middleweight boxing. Paramount’s 23-year old featherweight prospect Charles Huerta (13-1, 7 KO’s) has bounced back nicely since losing his first pro bout last July, and with back-to-back wins over Rodrigo Aranda and Guadalupe DeLeon, he’s back on his way to the top. Mexicali’s Jonathan Arias (15-5, 8 KOs’) is looking to right his own ship later this month, and he’s got his sights set on making Huerta the first win on his comeback. 21-year-old power puncher Keith Thurman (12-0, 11 KO’s) has finished off 11 of his 12 pro opponents, with eight of those knockouts coming in the first round. Cuba’s Stalinn Lopez (7-0, 3 KOs’) is perfect in seven bouts. On July 23, these two unbeatens will clash in Temecula in an eight round bout, and when it’s over, only one welterweight will still keep his “0”. Tecate, cerveza con carácter, is the largest beer brand to sponsor boxing matches in the U.S. Part of its commitment to make boxing accessible to consumers is the title sponsorship of “Sólo Boxeo Tecate,” which creates an opportunity for local fans to witness some of the most exhilarating fights by today’s up-and-coming prospects. Additionally, Tecate has been a primary supporter of Golden Boy Promotions’ marquee events since 2007, and has launched a variety of initiatives to ensure consumers are part of the boxing experience, including boxer autograph signing sessions, commemorative cans, PPV mail-in rebate offers, and most recently the launch of a mobile museum “Tecate Museo de Boxeo”, which showcases decades of the most memorable moments in the sport. For more information, visit www.goldenboypromotions.com, on Twitter at www.twitter.com/GoldenBoyBoxing or on Facebook at www.facebook.com/GoldenBoyBoxing. July 14, 2010 in Boxing News. Tags: Cerveza Tecate, Golden Boy Promotions, HUERTA vs. ARIAS, McEwan vs. Perez, Pechanga Resort & Casino, TeleFutura's "Sólo Boxeo Tecate"